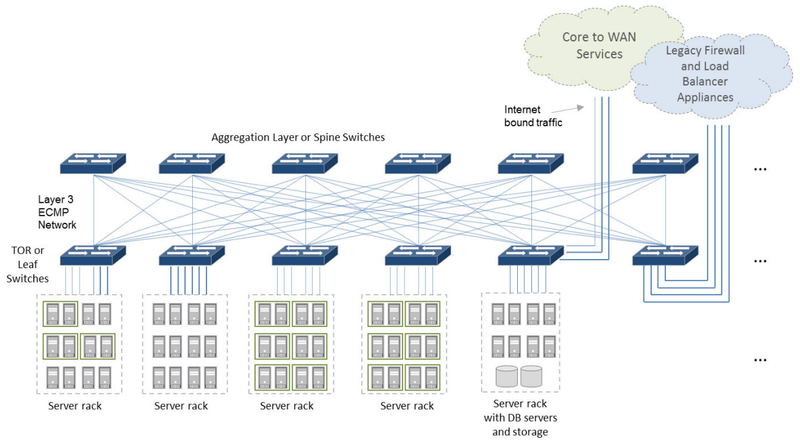 Figure 1 from the Broadcom white paper, Engineered Elephant Flows for Boosting Application Performance in Large-Scale CLOS Networks, shows a data center leaf and spine topology. Leaf and spine networks are seeing rapid adoption since they provide the scaleability needed to cost effectively deliver the low latency, high bandwidth interconnect for cloud, big data, and high performance computing workloads. Broadcom Trident ASICs are popular in white box, brite-box and branded data center switches from a wide range of vendors, including: Accton, Agema, Alcatel-Lucent, Arista, Cisco, Dell, Edge-Core, Extreme, Hewlett-Packard, IBM, Juniper, Penguin Computing, and Quanta. Figure 2 shows the packet processing pipeline of a Broadcom ASIC. The pipeline consists of a number of linked hardware tables providing bridging, routing, access control list (ACL), and ECMP forwarding group functions. Operations teams need to be able to proactively monitor table utilizations in order to avoid performance problems associated with table exhaustion. Broadcom's recently released sFlow specification, sFlow Broadcom Switch ASIC Table Utilization Structures, leverages the industry standard sFlow protocol to offer scaleable, multi-vendor, network wide visibility into the utilization of these hardware tables. Support for the new extension has just been added to the open source Host sFlow agent, which runs on Cumulus Linux, a Debian based Linux distribution that supports open switch hardware from Agema, Dell, Edge-Core, Penguin Computing, Quanta. Hewlett-Packard recently announced that they will soon be selling a new line of open network switches built by Accton Technologies and supporting Cumulus Linux. The speed with which this new features can be delivered on hardware from the wide range of vendors supporting Cumulus Linux is a powerful illustration of the power of open networking. While support for the Broadcom ASIC table extension has been checking into the Host sFlow trunk it hasn't yet made it into the Cumulus Networks binary repositories. However, Cumulus Linux is an open platform, so users are free to download sources, compile and install the latest software version direct from SourceForge. 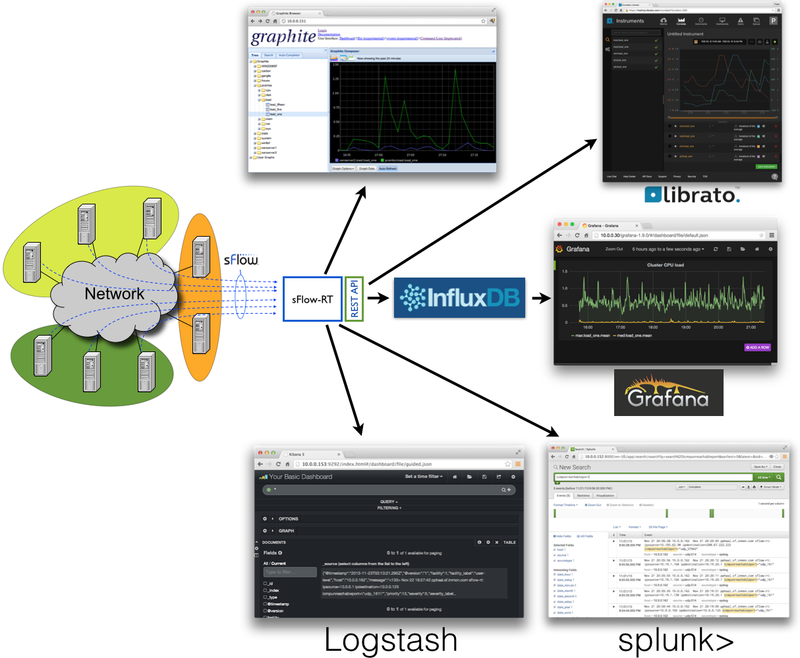 The diagram shows how the sFlow-RT analytics engine is used to deliver metrics and events to cloud based and on-site DevOps tools, see: Cloud analytics, InfluxDB and Grafana, Cloud Analytics, Metric export to Graphite, and Exporting events using syslog. 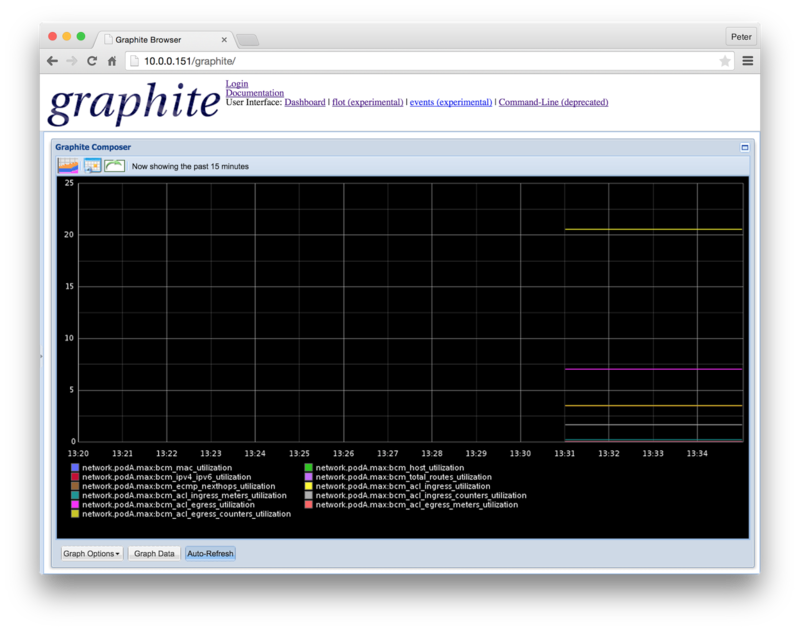 '10.0.0.1', // syslog collector: splunk>, logstash, etc. 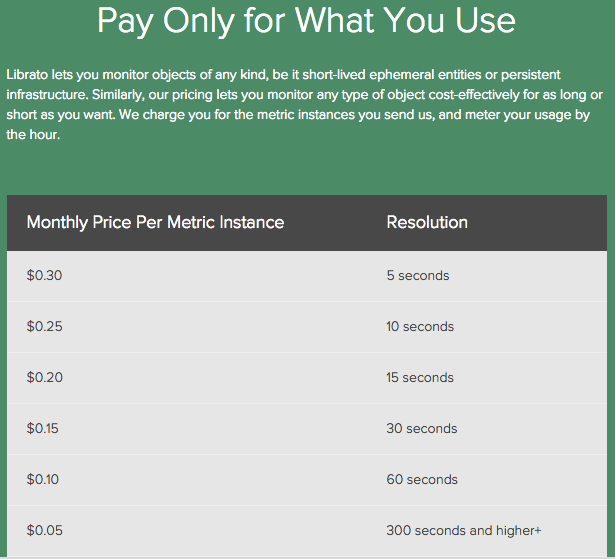 The table utilization metrics are only a part of the visibility that sFlow provides into the performance of a leaf and spine network. Scaleable traffic measurement is possible because Broadcom ASICs implement hardware support for sFlow monitoring, providing cost effective, line rate visibility that is build into the switches and scales to all port speeds (1G, 10G, 25G, 40G, 50G, 100G, ...) and the high port counts found in large leaf and spine networks. The 2 minute video provides an overview of some of the performance challenges with leaf and spine fabrics and demonstrates Fabric View - a monitoring solution that leverages industry standard sFlow instrumentation in commodity data center switches to provide real-time visibility into fabric performance. 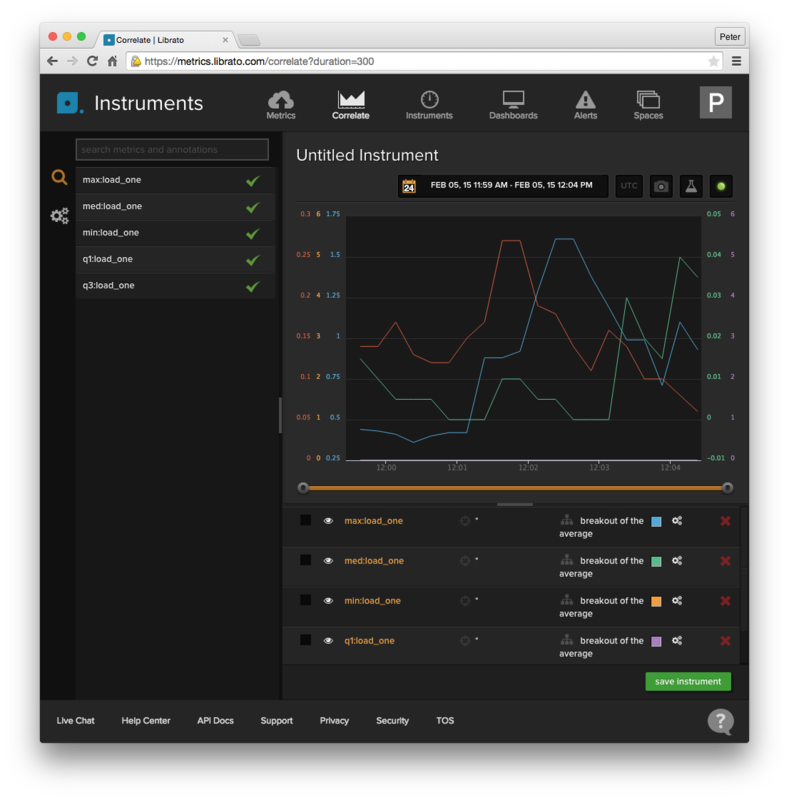 Fabric visibility with Cumulus Linux describes how to set up Fabric View to monitor a Cumulus Linux leaf and spine network. 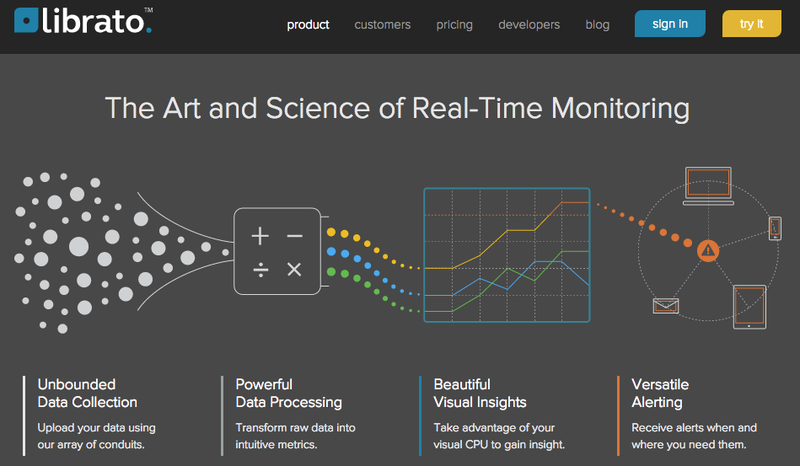 Real-time network analytics are a fundamental driver for a number of important SDN use cases, allowing the SDN controller to rapidly detect changes in traffic and respond by applying active controls. SDN fabric controller for commodity data center switches describes how control of the ACL table is the key feature needed to to build scaleable SDN solutions. 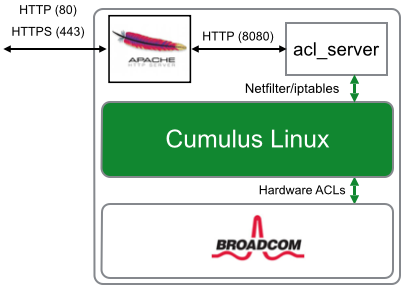 REST API for Cumulus Linux ACLs describes open source software to allow an SDN controller to centrally manage the ACL tables on a large scale network of switches running Cumulus Linux. The ability to install software on the switches is transformative, allowing third party developers and network operators transparent access to the full capabilities of the switch and build solutions that efficiently handle automation challenges. Visit the sFlow.com web site to learn more about SDN control of leaf and spine networks. Finally, the SDN use cases make extensive use of the ACL table and so this brings us full circle to the importance of the Broadcom sFlow extension providing visibility into the utilization of table resources.